You know this thing about Max and Shred Games? The Max and Shred Games category is one of the latest categories of Nickelodeon Games that our administrative team has created for our website, and where you will be able to find some really great games to play, featuring this unlikely duo of friends. Browse this page right now, and we are certain you will find something to your liking right away! In Max and Shred Games you can find 4 games that we've published for these kids and childrens that are interested to play Max and Shred Games, this game gategory have been created on 07.12.2016. These games with Max and Shred Games have been voted 1 times and the avarage of vote is 5.00 stars. We advice you to play the last flash game from Max and Shred Games, Max and Shred Arcade that have been published on 14.08.2017 14:00. Max and Shred Arcade its a part of Max and Shred Games category and until now its played 462 times. Try it now on Cute-Games.com! If your like the Max and Shred Arcade game you can write a comment in the game page. Recommend this game to your friends if you like it! Max and Shred Science Rush its a part of Max and Shred Games category and until now its played 427 times. Try it now on Cute-Games.com! If your like the Max and Shred Science Rush game you can write a comment in the game page. Recommend this game to your friends if you like it! How Do You Give Thanks On Thanksgiving its a part of Nickelodeon Games category and until now its played 2175 times. Try it now on Cute-Games.com! If your like the How Do You Give Thanks On Thanksgiving game you can write a comment in the game page. Recommend this game to your friends if you like it! 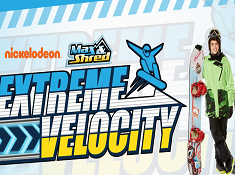 Extreme Velocity its a part of Max and Shred Games category and until now its played 606 times. Try it now on Cute-Games.com! If your like the Extreme Velocity game you can write a comment in the game page. Recommend this game to your friends if you like it! 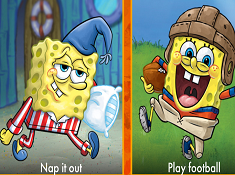 Find More About Max and Shred Games! One of the latest categories of Nickelodeon Games that our team has created for our website is right this one, called Max and Shred Games, which is a category of games that we recommend to you all, as we know that by playing the online free games that we have added in it, you are going to have a really wonderful time, something that is true for all the wonderful categories of online flash games that our team creates for www.cute-games.com. If until now you had any doubts that our website is one of the best ones out there, we hope that with the addition of the Max and Shred Games category, we have finally convinced you, and that you will be on the lookout for any new games that we do our best to add here, each and every day. By visiting our website daily, you get the chance to find some really cool new games to play, one more fun than the other one, from all kinds of categories, as we try and diversificate our content as much as possible, because we know that you are always on the lookout for more new things. That is why we knew that we had to create a Max and Shred Games category, because we knew that in it we could add some brillian new games for you all to enjoy, which will hope will become a reality, not just a hope of ours. Nickelodeon is without a doubt one of the biggest television networks aimed at children and teengers, where yearly you can find all sorts of amazing new shows, that always manage to bring smiles to the faces of those who watch them, just as they do to the ones that play games based upon their shows, just like our Max and Shred Games are. This show, called Max and Shred after the two main characters whose adventures we follow each episode, is a show that has started airing on this network in 2014, with a second season starting in 2016, meaning that it was well-received by the audience, who clearly enjoyed the episodes from it. 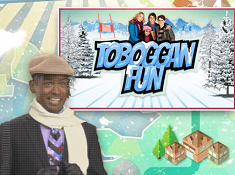 It is normal for a website for a television network for children to hav online games based upon their different shows, so it was only natural that games based upon this show were created as well, games that we have done our best to incorporate into our website as well, into the Max and Shred Games category. Of course, if a show is popular, fans all over the world then make their own online games based on it, so we have searched the internet for those games as well, making sure that you will have a category as complete as possible, so that our website becomes your go-to source for all games with Max and Shred. Now, if you are already a fan of this amazing show, then nothing will stop you from starting to play these awesome games right away, if you haven’t started doing so already. If by any chance you have reached this page without being a fan of this show, and you are curious to know more about it, we can solve your problem right here. We have created the description for this category in order to inform you of the show’s plot and different and awesome characters, and also about the different kinds of games that you will be able to find on this page. If you entered this page undecided, after reading this description, we are positive that you will finish reading it with the intent of starting to play our Max and Shred Games as soon as possible, and to have the best time ever, like you can have only on our website! In the show, a friendship between two different persons develops when superstar snowboarder Max Asher moves into a ski-town with the family of lvin "Shred" Ackerman. While Max is interested in having fun outside, Shred likes to read and study. While the two are very different, they are really good friends, and in all of their misadventures, they have each other’s backs, and stick together no matter what they have to face. In the show, you get to see this duo’s adventures, as they mix science, snowboarding, with going to school, making new friends, falling in love, and other things specific for teenagers. If you find this interesting, then you will definitely find our Max and Shred Games to be very interesting as well. 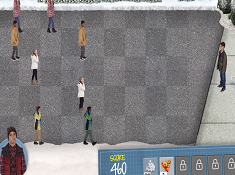 You wil find interesting adventure games, but also other kinds of games like puzzle games or memory games, and we are sure that whatever game you choose to start with from this category, you will love it immediately. So, what are you waiting for? Start playing amazing Max and Shred Games on our website right now!